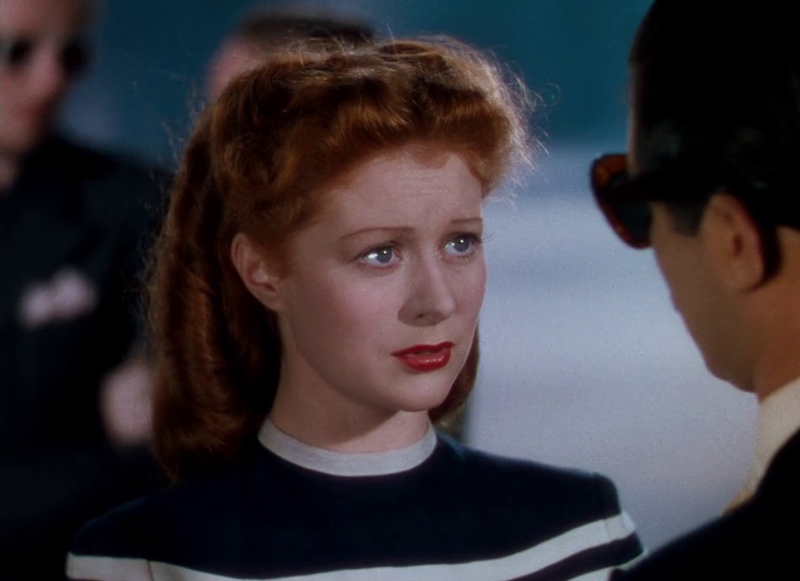 An aspiring ballerina (Moira Shearer) is accepted into a troupe run by a dictatorial manager (Anton Walbrook), and soon gains fame as his leading dancer — but her romance with the company composer (Marius Goring) jeopardizes her chances at lasting fame. 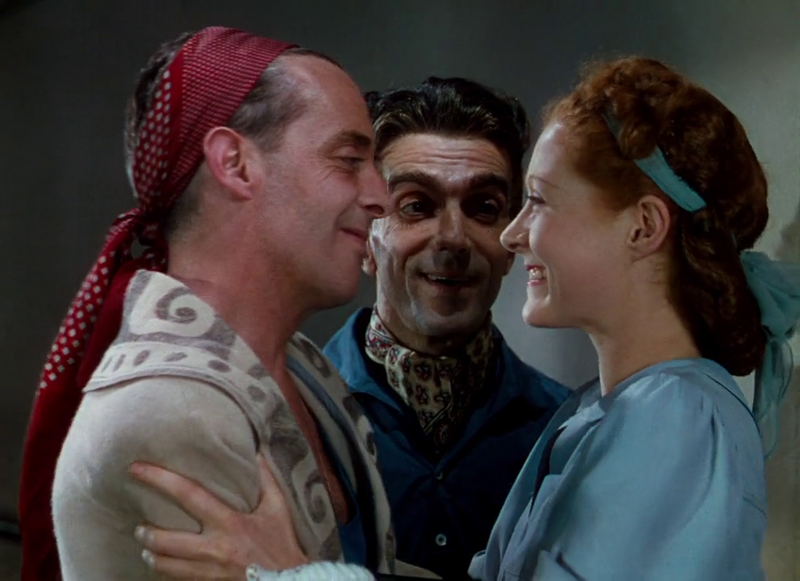 Peary writes that this “classic by Michael Powell and Emeric Pressburger” — “regarded as the best ballet film ever” — is “simultaneously romantic and expressionistic, a daydream and nightmare, a psychological drama and fairy-tale, a typical backstage musical and highbrow art”. 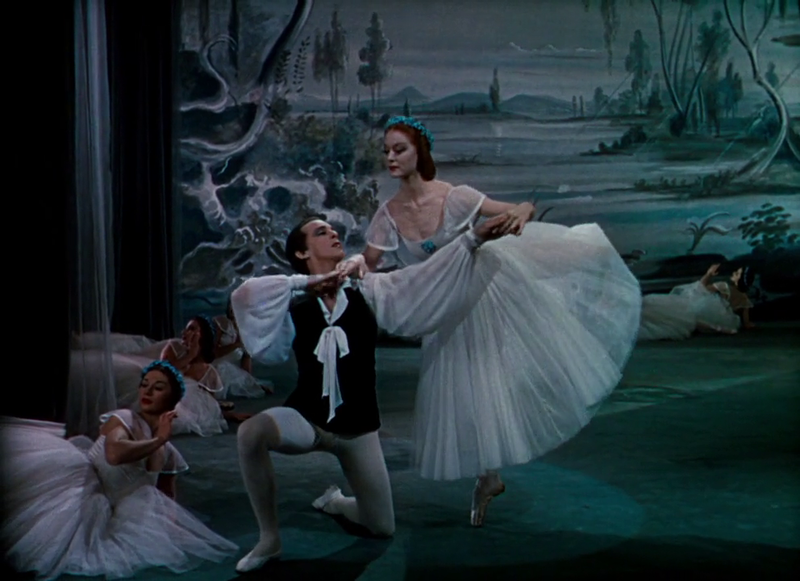 He notes that its “glorious… movement, color, opulent sets, lavish costumes, all surrounded by music” — along with “the identifiable career-vs.-marriage conflict which Shearer tries to resolve” — make it a film “many American females… have the most emotional attachment to, along with The Wizard of Oz, another film that blends fantasy and reality”. 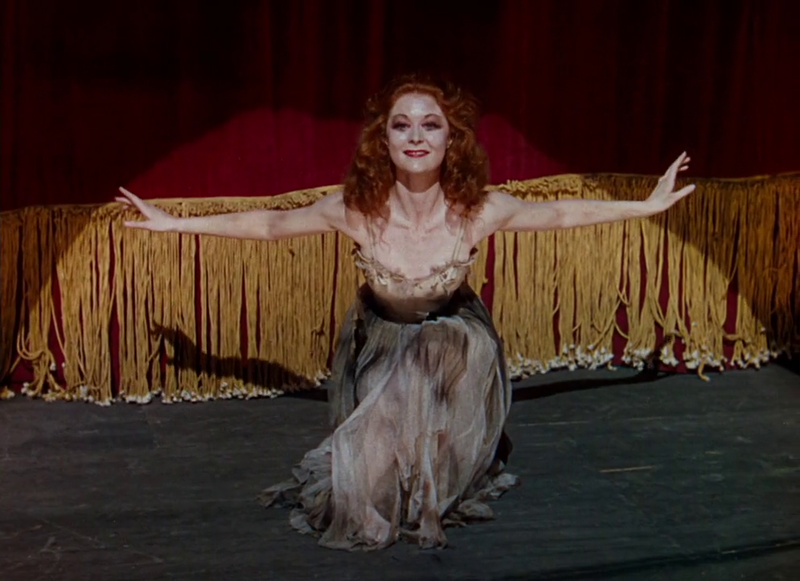 I’m not sure how widely viewed The Red Shoes is anymore these days — Darren Aronofsky’s Black Swan (2010) seems to have usurped its status as the hippest, most psychologically complex ballet drama — but there’s no debating it remains a mesmerizing classic of the genre, accurately and respectfully showing us life behind the scenes for dedicated performers who put dance above all other goals in their lives. In his Alternate Oscars, Peary names Walbrook Best Actor of the Year for his role as Boris Lermontov, and provides a detailed analysis of his character. He writes that Walbrook “gives a sad, disturbing portrait of a complex, frustrated man who is so dedicated to his art — he calls ballet his religion — that he suppresses his human qualities”, hiding “behind a defense comprised of a stone face, an authoritative position that allows for no dissenters, and smart, smug remarks and answers to everything”. He points out that Walbrook is “so devoted… to ballet that he feels betrayed when anyone fails to share his vision and would compromise their talents for something as trivial as love and marriage”. Of course, these days, the choice between marriage and a career — or even motherhood and a career — isn’t nearly as black-and-white, thus dating this critical element of the storyline; but Walbrook’s personal insistence that the two are mutually exclusive (Shearer and Goring rightfully disagree) is what lies behind the film’s driving dilemma. Peary has some quibbles about the film. 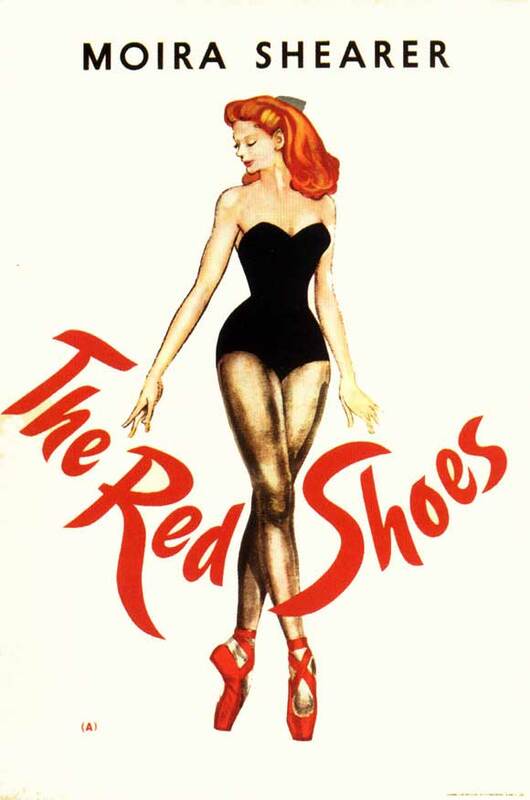 He posits that the central rendition of “The Red Shoes” ballet “shouldn’t be stylized at all” given that “it was staged by purist Walbrook”, and that “because of the cinematic liberties and excesses of the ballet sequences, it’s impossible to readjust to [the] realistic sequences that follow”. Hogwash on both counts: the mix works just beautifully, and there’s no reason to believe Walbrook’s character wouldn’t stage such elaborate ballets. Meanwhile, Peary argues that while “the first half of the film is masterful, the second half is miserable”, given that “the male directors [have] manipulated us into disliking Walbrook so much that we have trouble realizing that what he wants for Shearer is what is best for her”. 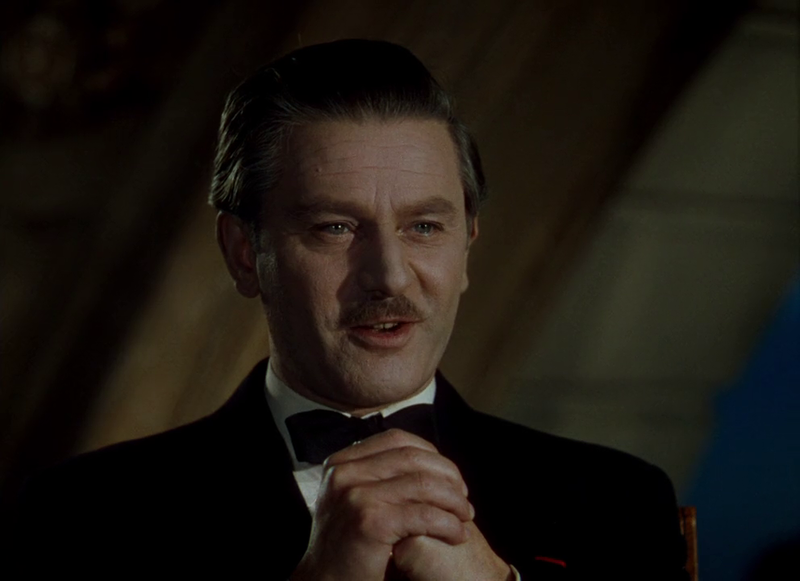 In Alternate Oscars, he writes that Walbrook “is presented… as if he were a sinister villain in this modern-day fairy tale”, but that “the selfish [Goring] is [actually] the piece’s villain” given that he has apparently asked Shearer “to give up dance”. I don’t see this as the case at all. While it’s true that Walbrook’s character has “finer qualities” — i.e., “he gives both Julian [Goring] and Vicky [Shearer] their big breaks, instinctively believing in them and putting himself on the line on their behalf” — he’s ultimately a brilliant yet flawed petty tyrant whose narcissistic worldview and insistence on maintaining absolute control become his (and Shearer’s) fatal undoing. Yes, as a unique cult classic. A once-must, at least, for its solid and beloved place in cinema history…though those who appreciate it more will definitely want to revisit. 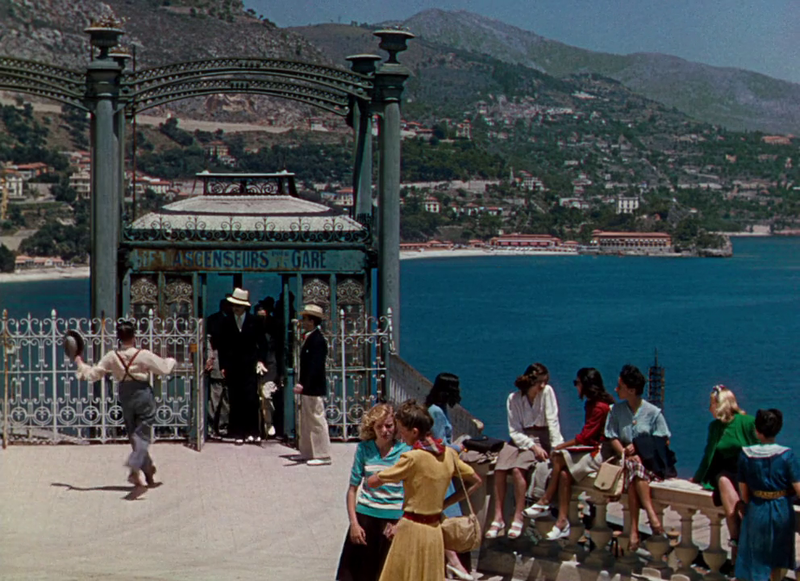 I just rewatched this in blu-ray, and it is absolutely stunning, esp. as it accents Cardiff’s remarkable camerawork. ~which is not meant to short-change Hein Heckroth’s production/costume designs or Arthur Lawson’s art direction: everything is very much of a visually splendid piece here. After reading the assessment above, I actually went back and rewatched ‘Black Swan’ first. 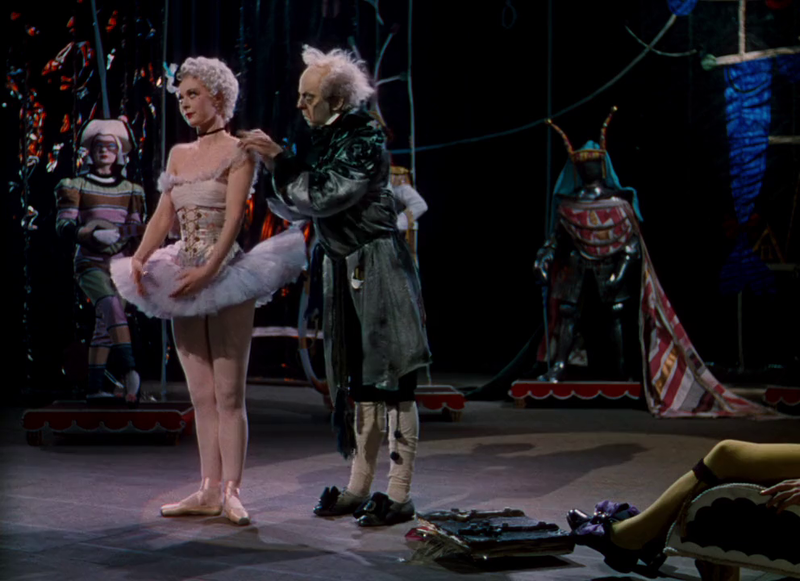 And…it’s kind of interesting to me because…I don’t often hear ‘Black Swan’ mentioned much. It made a big stir when it came out – like a fashionable flavor of the month. But I wonder about its potential for permanent (if you’ll pardon) legs. Not that it’s a bad film, I like it. But not nearly as much as I like ‘The Red Shoes’. I can’t really think that ‘Black Swan’ would usurp it. I’ll admit to a minor quibble. In the film’s last ten minutes or so, things spiral down as the love triangle explodes and we really get into melodramatic soap opera. Given the set-up of the triangle, there probably is no other way for the ending to work, in dramatic terms. I do find it slightly regrettable – but I try to see the ending more in symbolic than literal terms (only because it works a little better for me that way). A particular strength of this gorgeous classic is the reminder of behind-the-scenes power struggles between fragile egos. ~and that what we see from out front can be the polar opposite of what is going on backstage (all of which, of course, is tossed aside in the name of art when the curtain goes up). I should add that I agree about the stated “hogwash” re: Peary saying “because of the cinematic liberties and excesses of the ballet sequences, it’s impossible to readjust to [the] realistic sequences that follow”. As audience members, we adjust all the time with films of this nature – which have musical sequences, or what have you. Granted, the ‘Red Shoes Ballet’ is so extreme (and wonderfully so), that it can leave us somewhat breathless, and a little unwilling to return to the world off of the stage. But that’s to be expected: nothing can really top that kind of spectacle. A beautiful jewel of a film with incredible Jack Cardiff cinematography and great performances. A classic and a definite must see.